To help answer some commonly asked questions, we have put together this FAQ page. Please do not hesitate to contact us should you want additional information on a topic or have questions. What makes SCDS a great school? 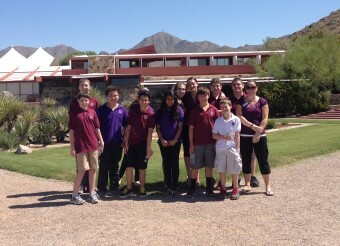 Scottsdale Country Day School is a KG-8 grade charter school focused on academic rigor and a well rounded education. SCDS students are confident, independent critical thinkers. Confidence and respect for the educational discipline, as well as for one another, is realized through nurturing and highly qualified faculty. With 22 students maximum in a class, SCDS students do not get lost in the crowd, they are part of a class with individual and mutual accountability, part of a school that strives for excellence, and a community that is a family. What else is integrated into the SCDS program? SCDS students meeting their academic goals have an opportunity to participate in all of the following programs. Though etiquette is not a formal class, social manners and respect are part of the daily program in the classroom. Please check with the office for available spaces. We believe that it is never too early to start your child on a great education and help them expand the boundaries of their individual potential. What is SCDS's homework policy? There is no homework if a student is meeting or exceeding academic goals, and is successfully completing classwork and study hall assignments. Students have a designated study hall period during the school day. A student identified as not meeting goals will be placed on an academic plan and will have homework assigned. What is SCDS's uniform policy? 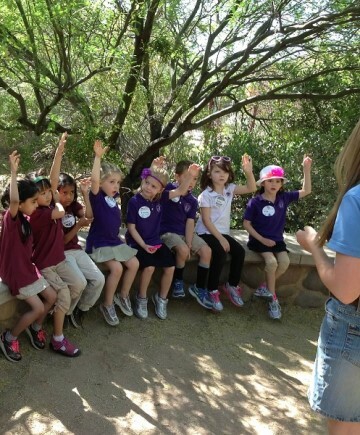 Scottsdale Country Day School's uniform policy is intended to project a positive image and learning environment for our students. All students are required to wear the Scottsdale Country Day School uniform, unless there is a designated non-uniform day. Shirts, sweaters, and dresses are embroidered with the school logo. Uniforms, including tops, shorts, skirts, and dresses, are purchased directly through the school and are available onsite. What assessment tools are used to differentiate for my child? As well as classroom formative and summative assessments, each student takes a benchmark assessment and ongoing tests using Galileo technologies. Built on the principles of science and supported by research, Galileo technology offers rapid access to data driven assessment to support differential instruction, future result predictors, and real time reporting for teachers and parents. Teachers can develop instructional goals, evaluate, and forecast standards mastery. Using statistical data, a rigorous program of study is mapped for each student. How is technology used at SCDS? At SCDS technology is valued as a tool to expand the boundaries of academic learning. Through teacher assessment tools, lesson planning, and classroom activities, technology connects students to the material they are taught using visual and dimensional learning. Technology at SCDS is a tool to support and enhance the existing classroom curriculum and core academic program. iPad and Smart Board technology at SCDS immerse students with educational apps in math, digital reading, reading comprehension, and science. Teachers and students use different media to create, research, collaborate, and increase the pace of learning. Monday through Friday, school is in session from 8:30 a.m. - 3:30 p.m. On the last Friday of each month, there is an early dismissal at 12:30pm in order to schedule teacher professional development. Kindergarten dismissal is at 3pm on regular days and 12noon on half days. Is before and aftercare available? Morning care is available from 7:30 a.m. daily and aftercare is available until 5:30 p.m. daily, including half days. Your child will automatically be signed into aftercare if he or she is not picked up at dismissal. Click here for rates and policies. What extracurricular programs are available after school? 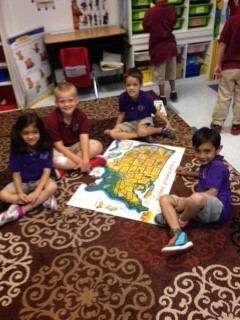 SCDS offer programs in art, soccer, music, Lego, and tutoring. Click here for details. Is a lunch program available? Snacks and lunch must be sent in with the student from home. SCDS does have outside vendors delivery food on a daily basis. Parents may pre-order online at the SCDS Store.